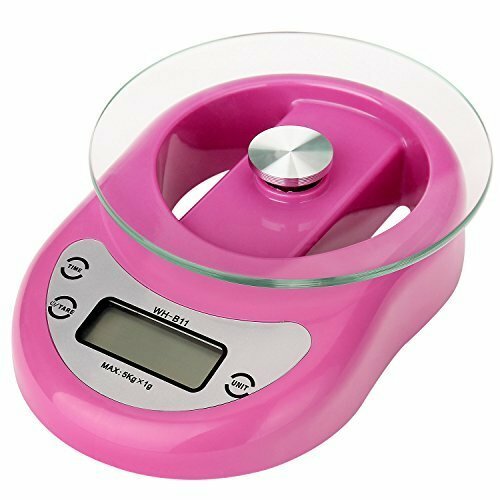 Digital kitchen food scale is capable from 0.05 oz. to 12 lbs. (1 gram to 5 kilograms), Humanization design makes the operation easy: three buttons for operating, a large LCD display showing the weight and time., Precise Tare features help you calculate the net weight when you add something on it., The glass platform is a special design; it can screw out for cleaning., It will turn off after 1 minute without operation which will save life of the battery and the product itself.